Part of the excitement of the large motorcycle gatherings is seeing the machines gathered en masse. Row upon row are free to inspect and the especially sharp ones have a crowd of appreciators jockeying in for a closer look. Upon inspection you find intricate details are what draw you in. Fine pinline designs, meticulous pictorial renderings and a flawless finish over the completed artwork clearly qualifies this as a candidate for a championship show bike. 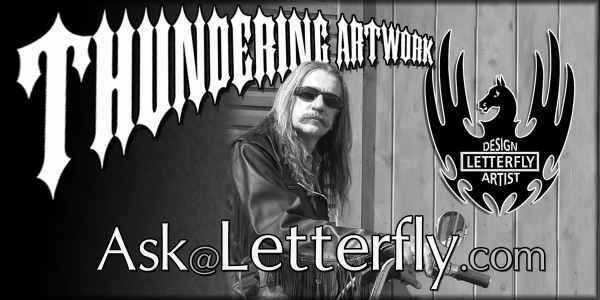 What are the limitations as to how our custom motorcycle artwork can be designed? Your imagination! Although you will see hundreds of examples in countless motorcycle magazines and the photo albums of biker artists, no two murals are exactly alike. Each one is custom designed and created to the desires and specifications of the bike owner..
What if we really don’t know what we want our paintwork to depict? You are a member of a very large club! Most bikers who decide to enter into this exciting new world of motorcycle art have little, or no idea at first of what they want their artwork to look like. Artists with experience as professionals with hundreds of murals to their credit, have garnered the expertise to draw out those hidden interests, faded memories, long lasting loves, cherished dreams or whimsical fantasies. Most people are pleasantly surprised to find that the dreams they thought were impossible, come to life right before their eyes. How will we know what our painted design will look like? Usually murals are sketched out by the artist and must meet with your approval before any work is started. Minor changes can be made to the mural, (extensive changes may effect pricing) before the process begins. Can a mural be created from a favorite photograph? Yes. In fact, most murals are created from pictures that owners carry in their wallet, purse or glove compartment. Many murals are created using a marriage of several photos to depict a specific background combined with other elements, which in turn enhances the mural's main feature. Letterfly uses a reference file of thousands of photos in a myriad of different categories to help compose your custom mural as well as to maintain authenticity and color values. As we said, your imagination is the only limit to a one of a kind personalized mural. Within good taste of course. If we decide to have custom paint created how do we know that it will be good quality? If you have been to any area Bike Nights you have probably seen at least one handpainted design. Use an artist that has an established reputation. Then, that question answers itself. If you have not witnessed a mural being created at one of your local Bike Nights, please take a moment to look at the photographs of Letterfly artwork on the website; Letterfly.com In as much as pictures speak for themselves there is no doubt about how the artistic quality a mural adds to the motorcycle experience. Will our mural have a cookie cutter look to it or will it be handpainted? Murals that are hand-created for the customer using either a difficult but rewarding pinstriping, wet blended or airbrush technique have a personality that is much different than the perfectly cut and sterile vinyl images that are the domain of the computer.